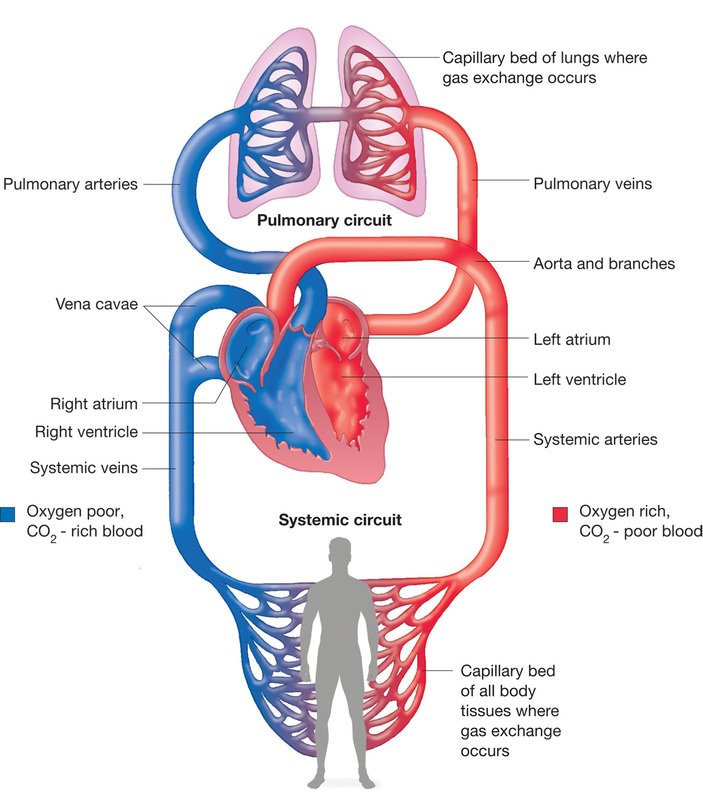 Copy the diagram on the right into your notes and headline this section "The respiratory system"
Write a short paragraph to answer the following question: "Explain the difference between respiration and gas exchange (the function of the respiratory system)?" Which gas diffuses into the blood in the lungs? Why must we constantly refresh the air in our lungs for diffusion to occur efficiently? 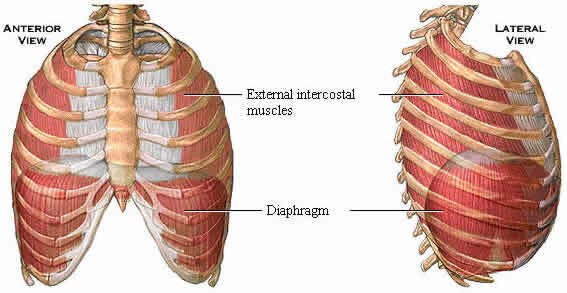 Copy the diagram of the diaphragm and intercostal muscles into your notes. Copy and annotate the diagram of inhalation and expiration to show the key processes involving with breathing. Write three sentences describing the functions of the larynx, mouth and nose. The insides of alveoli are coated with a chemical called "surfactant" this has similar properties to detergents we use when washing dishes. Why are they covered with this?